A lower valuation could force Geely to hold off on launching an IPO. Plans appear to have taken a hit as the Swedish automaker may not be worth as much as its owners initially thought. According to a recent report from , “select institutional investors” have estimated the value of Volvo Cars somewhere between $12-18 billion. And while that may seem like a lot of money to most of us, it's far below the $16-30 billion that its Chinese owners at Zhejiang Geely Holding Group were hoping for. So they may very well choose to hold on to all its shares in Volvo for the time being, rather than float an Initial Public Offering based on a lower valuation. The revelations could prove a rare hiccup in Geely's ambitious business expansion which saw it acquire Volvo Cars from Ford in 2010. 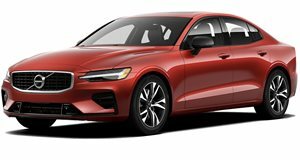 It acquired its longstanding Polestar performance and racing partner in 2015, and is in the process of relaunching it as a standalone electric-vehicle brand. Geely and its Volvo subsidiary also collaborated to launch in 2016. Geely also bought the London Taxi Company in 2013, relaunching it as the London Electric Vehicle Company. It , and recently . With all these acquisitions and investments of capital, Geely was evidently hoping to raise some cash by selling some of its shares in Volvo. The original plan, according to Bloomberg, was to list Volvo shares on stock markets in both Hong Kong and Sweden as early as this fall. But with its shares now valued at less than what it hoped, it's likely to delay those plans at least until it can raise the brand's earnings and its value to investors.